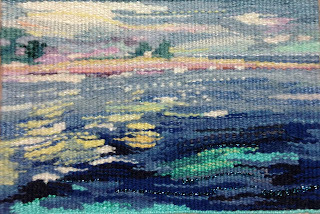 The tapestry landscape is finished, well the weaving is done but I have some details in the finishing. 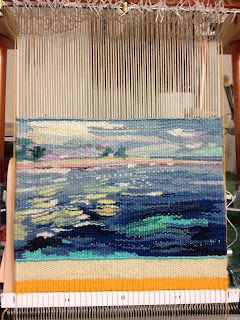 It measures 5 1/4 inches by 7 7/8 inches on the loom, set at 10 ends per inch with wefts of wool ,cotton, silk, linen, rayon and metallic threads. 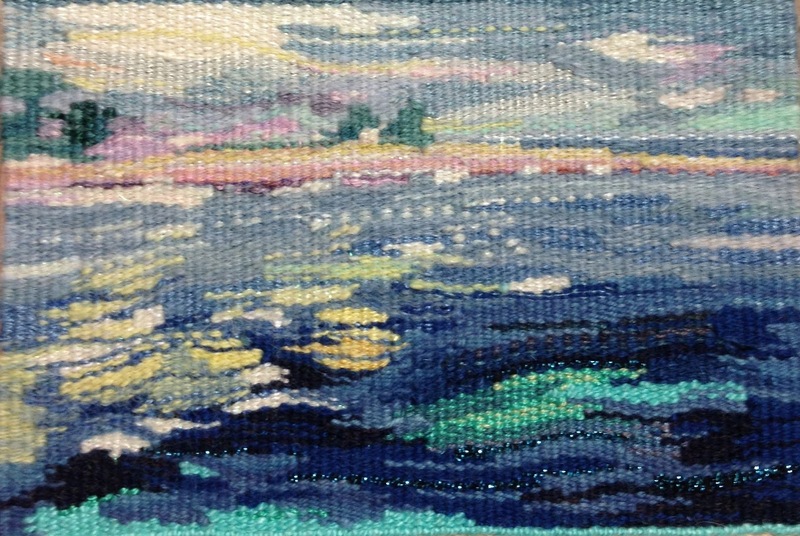 It was woven on the Little Guy Mirrix Loom and has a mixture of handspun and commercial yarns. The cartoon was painted on the Brushes painting App for iPad. There is an earlier post on Brushes if you missed it. Nice! Congratulations on finishing the weaving portion of this beautiful piece. Thanks Tommye. I am trying to decide exactly how I want to finish it.